Storehouse angered a number of power users in its big shakeup with the release of Storehouse 2.0 which ditched a number of features for a streamlined, more privatized system that made it harder to use the platform as a photographer’s social media marketing dream. But the numbers are out, and while it may not become the next Instagram of photo marketing and discovery, here’s why there’s a good chance it’ll find its way into your living room, regardless. Last week, I was able to meet once again with Storehouse CEO Mark Kawano, who showed me the future of sharing photographs with family and friends. Long story short, this is what it’s all about. 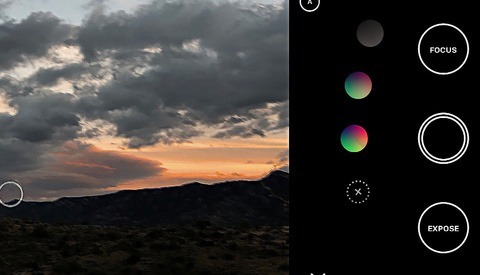 Since Storehouse 2.0 has shifted its focus to sharing all the "other" photos you shoot, users are creating and sharing more than five times the amount of content as they were with the original Storehouse model — and that’s before the big screen update. Quick note on the new Apple TV itself: it’s pretty fantastic. If you care about your television media experience and/or already use Apple products or services, the new Apple TV is about as necessary as entertainment gets. The new Apple TV has several new features; the greatest, perhaps, being the embedded access to the App Store. For the first time, developers have access to creating apps that can interact and communicate with the largest screen in your home. Storehouse was far from oblivious to the implications of this development and jumped aboard quickly. They’ll have a Storehouse app for Apple TV when it launches this week (sales began Monday, with expected delivery and Apple in-store availability starting Friday). 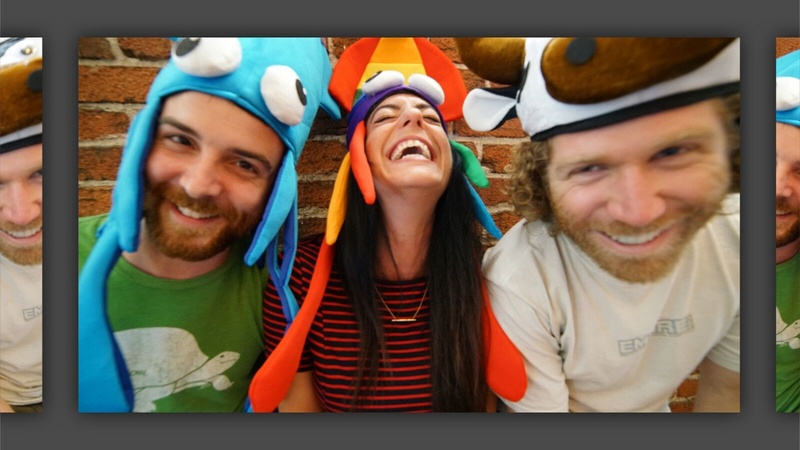 Storehouse already lets users create and share stories built from photos, videos, and text they create. 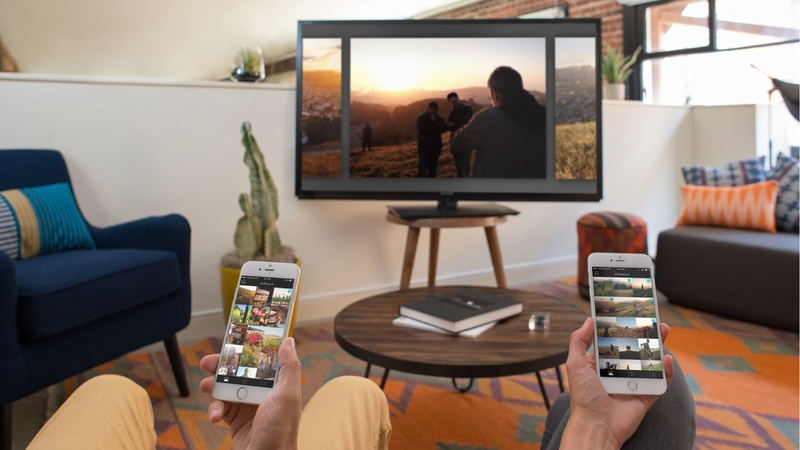 The app for Apple TV naturally allows viewing of shared stories. 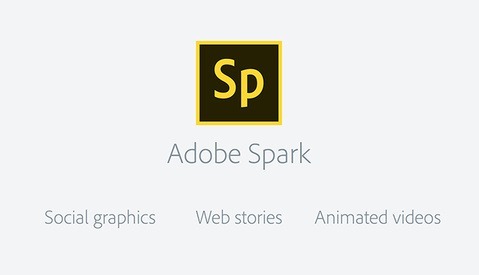 But the best feature is something entirely new. For the first time, users can collaborate on a story in a way that makes this the go-to solution for any family or small-group “album-sharing” solution. 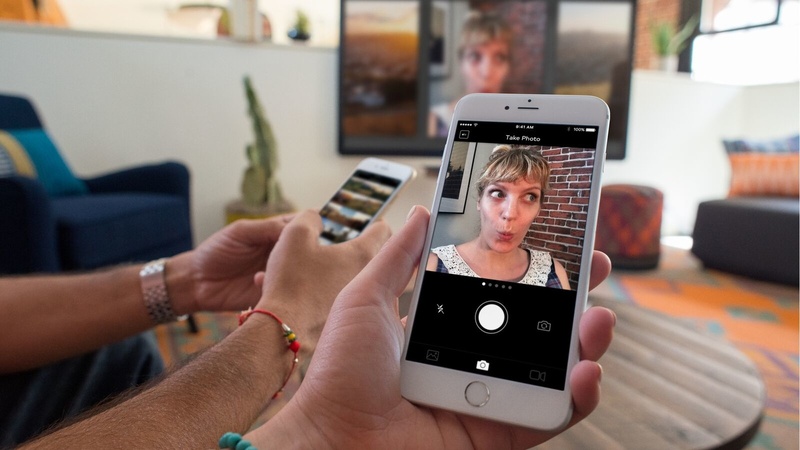 With a new mobile app, Photo Remote, multiple users connect their iPhones to an Apple TV with the Storehouse app. 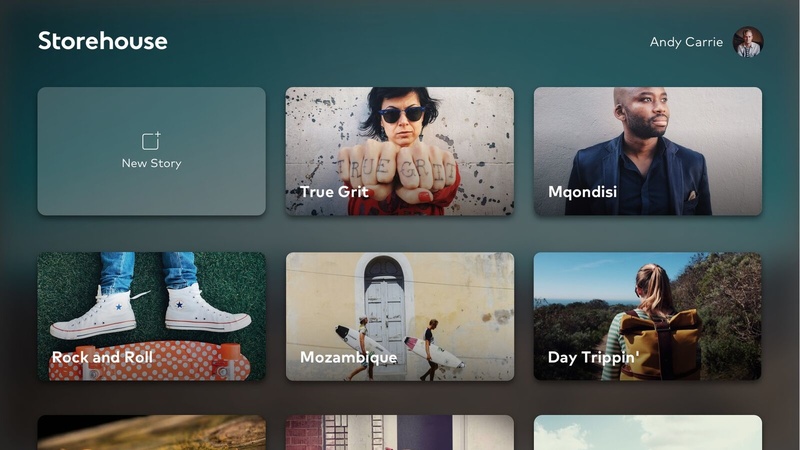 From there, users can choose which photos and videos they want to send to the Apple TV to create a story. The transfer is almost instant thanks to great networking and a connection over Wi-Fi handled automatically within the app, and users have the option to treat the experience as anything from creating a family album together after a vacation to having a live stream of all of the photos and videos people are currently taking at a party (wedding, house party, office holiday bash, studio photo session). As long as everyone is connected to the same Wi-Fi network as the Apple TV, they can join in on the collaboration by adding their own content. Whoever is logged into the Storehouse app on the Apple TV is the owner of the story. As Storehouse is still deciding how to handle multi-user editing permissions, editing remains limited to the original account’s owner, but anyone can still share a link to the story. The Apple TV app doesn’t support text in stories because, for one, text doesn’t look great on a television. Second, it especially doesn’t look good in the simple, horizontal image and video display format Storehouse uses to better match the 16:9 widescreen standard of today’s HDTVs. But most importantly, text simply isn’t necessary when your images can benefit from the entire real estate of the television screen. Once you’re in front of the screen with phones connected, the experience is quite astounding. Picture a family sitting down after vacation to go through their photos. Instead of gathering around someone’s laptop or plugging one person’s SD card into a TV (honestly, who actually does that? ), each person selects photos and videos to throw up onto the screen. Anyone holding the Apple TV Siri Remote can easily rearrange the order of content and can save and send the collection with other family members and friends. In another scenario, you could be shooting a complex, high-production-value commercial campaign. Odds are you have a TV in the studio that everyone could connect to in order to share a live stream of their best BTS content to keep everyone excited about the shoot throughout the day. Back at home in the evening, a party of a couple dozen people could carry on in the backyard while people share their best memories back to the living room TV. These possibilities are what make me go from wanting a 4th-generation Apple TV for my tech-oriented self to potentially to snagging one for my mother, too, who normally couldn’t care less about upgrading from her 3rd-generation device. The future of Storehouse isn’t in social media or multi-million-follower counts for product and brand promotion. The future of Storehouse is to give you one — and the best — solution to finally be able to do something with the mounting piles of digital data that isn’t your finished, professional work, but that your sister, aunt, cousins, brother-in-law, social media followers, and new friends would love to see. We already have Facebook, Instagram, Twitter, Flickr, 500px, Behance… You name it, there’s a service or three out there that everyone is already on. Storehouse could have tried to stick with their previous model while hoping for an increasing user base that would put it alongside the ranks of respectable social media companies. But the platform’s ease of use and beautiful “automatic design templates” deserved to be enjoyed by everyone, not just professional artists that could push their work while creating a space that made intimidated the layperson. In the best of ways, Storehouse is now something that can complement your digital life without competing with it. The new Apple TV goes on sale Monday at the price of $149 with 32 GB of storage, or $199 to double the storage to 64 GB. Those who ordered through Apple right away will have them delivered as early as October 30 (Friday). Apple Stores should have some in stock as well by Friday.